Over the weekend, we had plans to go apple picking but Cooper wasn’t feeling 100% and we decided not to go. I had plans to make applesauce and start making some other treats with apples, so I stopped a fruit stand along the side of the road and picked up a basket of Laura Red apples. I had never heard of this variety of apples before but the man selling them said they were great for both eating and baking. Perfect since I knew I wanted apples for eating and baking. They’re delicious, the perfect combination of sweet and tart. 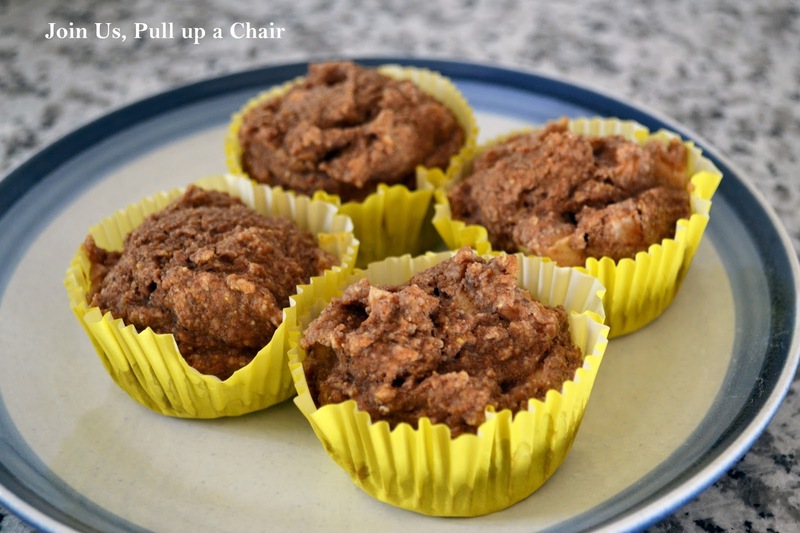 After making a batch of applesauce, I wanted to make muffins for the kids for breakfast and came across this recipe for apple muffins on Pinterest. I loved that they are clean and contain very little sugar. I also was excited to use my homemade applesauce. We all loved them warmed with a little tab of butter melted on them. YUM! The perfect breakfast muffin! Preheat oven to 350 degrees. Line a muffin tin with liners and set aside. In a small bowl, add the chopped apple, cinnamon, nutmeg, vanilla and honey. Mix together until the apple is well coated. In a large bowl, sift together the flour, baking soda and salt. Add the applesauce, spiced chopped apples and water. Slowly stir to combine the batter. Divide the batter into the lined muffin tins and bake for 20 to 25 minutes. Remove from the oven and allow to cool slightly before enjoying!